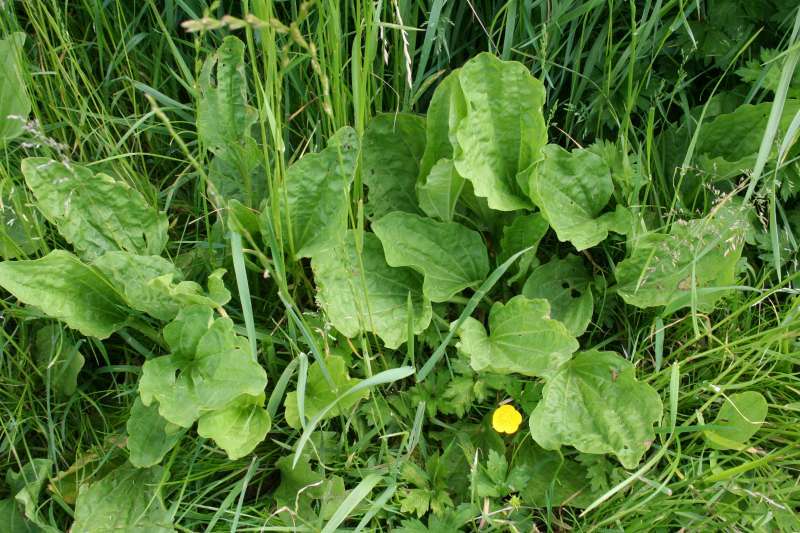 The common plantain is well known and - common. But it is also edible. The leaves are a little 'robust' and fibrous and do not have a lot of flavour, but chopped in thin strips across the leaf (to cut through the fibers) up it makes a fine addition to salads. 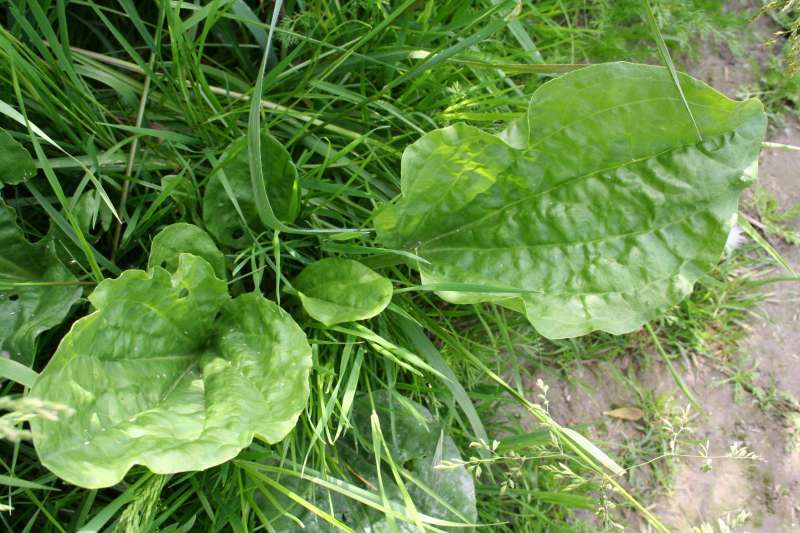 Plants for a Future on Plantago major.